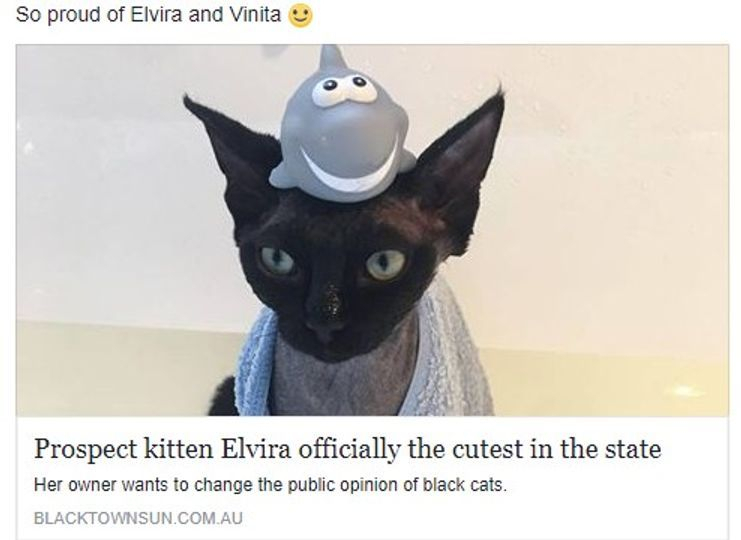 Governing Council of Cat Fanciers Of South Australia. I am proud to run an ethical Cattery. Devon's are such magical cats, they are cheeky, mischievous little pixies who will bring you a life time of love and happiness. All the cats at FurReFae live inside with me and they have free reign access to an out door area, as well as an outside cattery. I run an ethical cattery, all kittens that leave here are vaccinated x 2 with F4 with a health check by a Veterinarian. I do not practice interbreeding (breeding cats related to each other). At 12 weeks they are, Vaccinated, Desexed, Microchipped with lifetime registration. They are registered with FASA, that means they are registered cats and you will receive the kittens Pedigree Papers in your name. 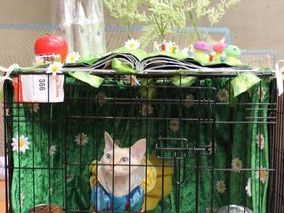 The cats are sold as Pets with Papers, if you would like have a show cat that can be discussed. I am a practising Vet Nurse and have been working as a nurse for 28 years. 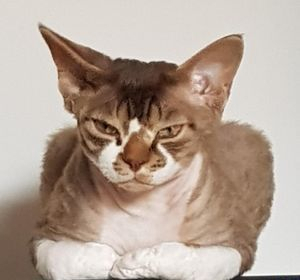 I have been breeding Devon Rex for 6 years. I have my own Devon's as well as my breeding girls and boys, they are all very much loved. The kittens are part of my family and I strive for them to be placed into loving homes. They are well socialised inside my home, so they are prepared for their new lives, with their new families. 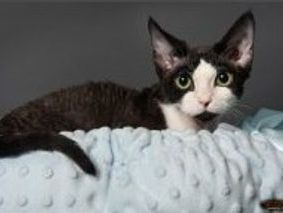 I breed so others can have the wonderful Devon Rex experience, Devons are my heart and sole. All my kittens and queens and Stud cats have wonderful friendly temperaments. Prince is a Lilac Bi- Colour from Imported Lines. Response time from enquiry: very timely – thank you. Also very precise & there was no misunderstanding about our fitness to be owners or our responsibility to secure a kitten. Most certainly – throughout the whole duration from our commitment to collection & the “take home” information. Very much so – great little time wasters! A replacement for all my favourite tv programs & therefore much healthier. Testimonial: yes very happy for you to use anything we say. 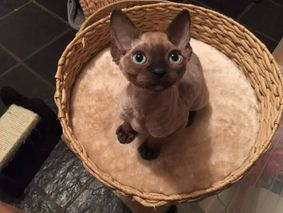 "From the time we enquired with FurReFae Devon Rex Cattery about kitten availability, we were well looked after by Julie and she answered all our questions. Soon after placing a deposit for two kittens in a new litter we received a detailed information pack that would help us prepare for our new arrivals (covering feeding, grooming, toys, health information and more). Julie kept us well informed through the entire process while we waited for them to reach adoption age. She sent weekly photo updates, posted videos in the Facebook group and even invited us to visit before final collection. The kittens were kept in the home and hand raised, which was important to us (early interaction with people to ensure they are sociable). On pickup we were talked through additional information and confirmed we didn't have any outstanding questions. She checked with us in the days following to ensure all was going well. 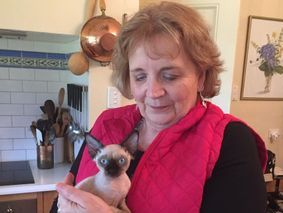 You can tell that Julie puts in a lot of care and consideration into looking after her cats and kitten litters and ensuring the new owners are well prepared to take care of them responsibly. 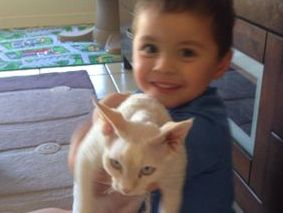 We were very happy with the entire process and the wonderfully natured kittens (Hunter & Sophie) that we adopted." 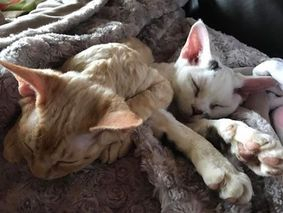 I purchased my first Devon Rex kitten Cleo from FurReFae in 2016 and I’m very glad I did. I received weekly kitten photos from Julie until it was finally time for Cleo to come home. I live in Queensland, but Julie was happy to fly Cleo from Adelaide to Brisbane for me. Julie kept in contact with me through the entire process and she had packed Cleo safely and warmly in her crate on a cold morning. Cleo arrived safely after her flight with no hint of being in a plane for a few hours. From the moment we got Cleo from the airport, she was a very outgoing, loving, adorable kitten. 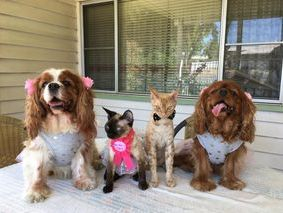 She fitted right into the household and had no problems getting use to her big doggy sisters, she took it all in her stride. I’ve never had a kitten that was so use to being held, and being involved in normal every day goings on in the house before, like Cleo was. You could tell how much love and work Julie had put into making sure Cleo was well adjusted. Early 2017 I saw one of Julie’s kittens on Facebook and soon Jonah was to become mine. I had no hesitations in assuming he would just as easily fit into our family. Jonah was also flown by plane to me, and was just as active, outgoing and ready for snuggles as soon as he came from the airport. He slotted into the household and it’s routine just as easy as Cleo did. 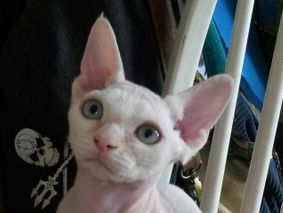 I would never consider getting another Devon Rex kitten from anywhere else. I couldn’t fault FurReFae Cattery and the wonderful work and love Julie puts into her special babies. 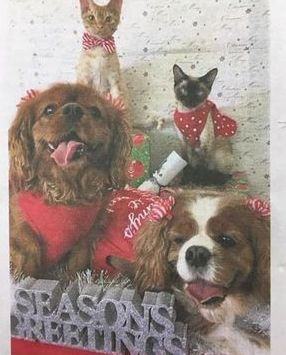 Angela has done a wonderful job getting this crew together for their Christmas picture , which has turned out to be so amazing it's in the local paper.